The company is managed by Alex Ward,who has been guiding the companies development since incorporation in 2014. He couples a physics academic background with extensive business training. He has led the company to winning numerous business competitions and has won several development grants to speed the companies growth. He is energetic, personable and passionate about bringing his management and scientific experience from academia in order to deliver a broadening range of high-quality innovative, products to an ever-broadening market. Jack Barraclough is the company Technical Director. 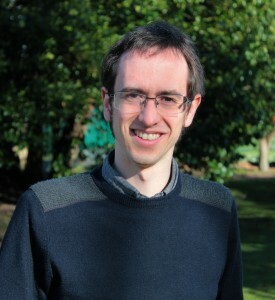 During his PhD he has completed several key engineering projects, including the development of a SQUID (Superconducting Quantum Interference Device) resistance measurement system for use in a cryogenic environment that out-performed any commercially available instrument. Also during his PhD, he designed and developed a mechanical rotator, with closed loop control, designed to work at ultra-low temperature. Jack brings a keen intellect, a breadth of knowledge and a lot of enthusiasm to overcoming any engineering challenge. This makes him ideally suited to managing the technical development of this family of products. Dr. Clifford Hicks is a group leader at the Max Planck Institute for Chemical Physics of Solids, Dresden, Germany. He came to know Alexander and Jack while at the University of St Andrews. 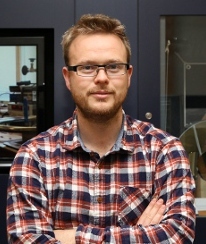 He acts as a technical adviser to Razorbill Instruments.